How long does it take one procrastinating book blogger to put together her list of best books of the year? Almost a month, as predicted. In past years I’ve lamented my lateness, but I think at this point it’s just the status quo. Let’s make it canon: Cecelia posts her best of the year lists in January, late January. The 2015 list will only be late if I post it in February. I love re-framing goals like that (something about turning a negative into a positive? or perhaps because it feels like cheating, in a society-approved sort of way). But yes, BOOKS! The ones I liked best from 2014. These titles weren’t necessarily published in 2014, but that’s when I read them (or reviewed them, rather). They’re ordered alphabetically, because it was convenient. And when I say ‘convenient,’ I mean that I have the hardest time making value judgments like this, and there’s no way I could tell you which ones I liked better than the others. Oh, and because I’m an overachiever (read: I copy-pasted from last year’s list), feel free to peruse my previous ‘Best of’ posts from 2009, 2010, 2011, 2012 and 2013. 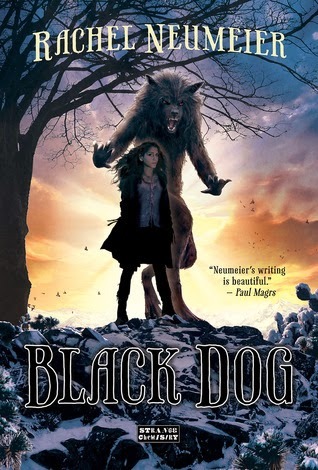 Black Dog by Rachel Neumeier – Diverse teenage main character(s) and a dark and magical take on werewolf lore? I’m longing for a reread! Blackfin Sky by Kat Ellis – The girl everyone thinks is dead returns to her small seaside town, and there’s a mysterious circus in the woods… basically, this is enjoyable, atmospheric, and quirky in the best way. The Castle Behind Thorns by Merrie Haskell – Historical-ish fantasy for readers of all ages, with lovely bits of religious mysticism, magic and science mixed together to form one heck of a fairy tale retelling. The Darkest Part of the Forest by Holly Black – Twists, turns, and a fantastical world/society marching right alongside the ordinary human one. Add complex and diverse characters, plus really excellent writing? It must be a Holly Black book. Darn, I loved it! Gilded Ashes by Rosamund Hodge – This one’s a novella-length retelling of Cinderella. An extremely dark retelling, at that. Totally enchanting. Hallelujah! The Welcome Table by Maya Angelou – On its face, this is a cookbook. I’m here to tell you that the food may be good, but Angelou’s anecdotes and stories before each recipe matter most. What a life, and what a vibrant soul. Just… go read it! 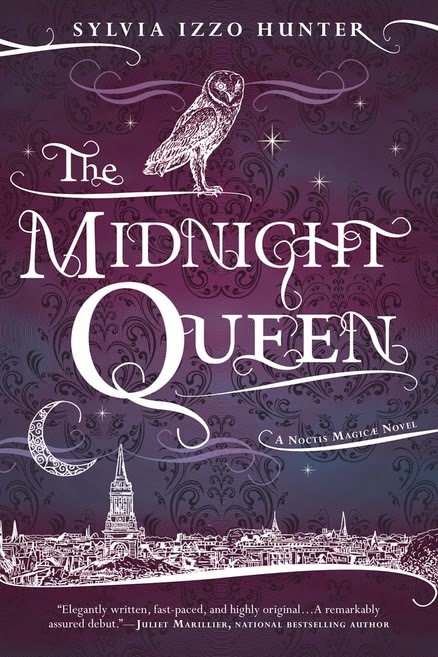 The Midnight Queen by Sylvia Izzo Hunter – This is the sort of story I could get addicted to. It just has me written all over it. There’s a Regency-esque society, a scholarly environment, shapeshifting and magic, a nefarious plot that must be stopped, and a journey. All of the fun things, and the story still works. Glorious! Pills and Starships by Lydia Millet – An engaging (and literary) take on pharma- and enviro-apocalypse, and what the final breakdown of society might look like for one family and one girl. The Thinking Woman’s Guide to Real Magic by Emily Croy Barker – This book is smashingly awesome fantasy, and it is at the same time a feminist critique of traditional literary tropes. I don’t know how Barker does it, but I want more. Tin Star by Cecil Castellucci – It isn’t every day you come across smart young adult sci-fi that doesn’t rely on a central romance for its main conflict and movement. And when you do, you’re not going to see anyone do it better than Castellucci. What a book! Zita the Spacegirl by Ben Hatke – Do you like graphic novels? Comics? Superheros? Space? 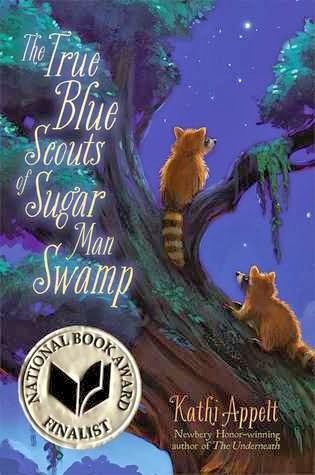 After the money America shelled out to see Marvel’s film Guardians of the Galaxy, I think we can all say ‘YES.’ This is the book to give to young fans of those things. Or readers of any age, really. There were 12 titles on my list this year – last year there were 13. I think the (slight) drop is due in part to the fact that I had a very slow fall and winter, reading-wise. Well, reading published books, anyway (I went on an extended fan fiction reading binge, if you really want to know). Here's the breakdown of my 'best' books: I had 2 middle grade, 6 young adult, and 3 adult books on my list, along with 1 graphic novel meant for younger readers. Eleven books were fiction, one was nonfiction. There were eleven female authors and one male author. I also tipped the scales heavily toward American writers this year, with 10 from the USA, 1 from Canada, and 1 from England (Wales!). I'll have to diversify a bit this year! And now the fun part: a giveaway! Two winners will receive their choice of any book from my Best of 2014 list (audiobook and/or ebook editions included, as available). To enter, simply fill out the FORM. Giveaway is open internationally, will end on February 7th at 11:59pm EST. Books will be shipped from Amazon or The Book Depository. Winners will be selected randomly and notified via email. Good luck! Oo, yay! How exciting! There are a bunch of these books I have been wanting to check out -- looks like an excellent reading year! Great list! I also really enjoyed Blackfin Sky. I'm so glad I found it this year! And most of the rest of your list is on my must-get-a-copy-to-read list! I really should make a best of list. They're so fun.